Geoff is the founder of GreenPrint Real Estate Group, and serves as Co-Owner and Principal Broker. A native of the state of Iowa, Geoff grew up in Iowa, Minnesota, and Arizona before his family finally settled in Texas - specifically, Houston. After graduating from Texas A&M University in 1999 with a Bachelor of Business Administration degree in Finance, Geoff went to work in Commercial Real Estate in the competitive Houston market. After a short stint in Houston, Geoff moved to Dallas and joined SBC Global Communications as a Network Engineering Capacity and Finance Manager, where he was appointed to lead an inventory review task force for the entire North Texas area for SBC. 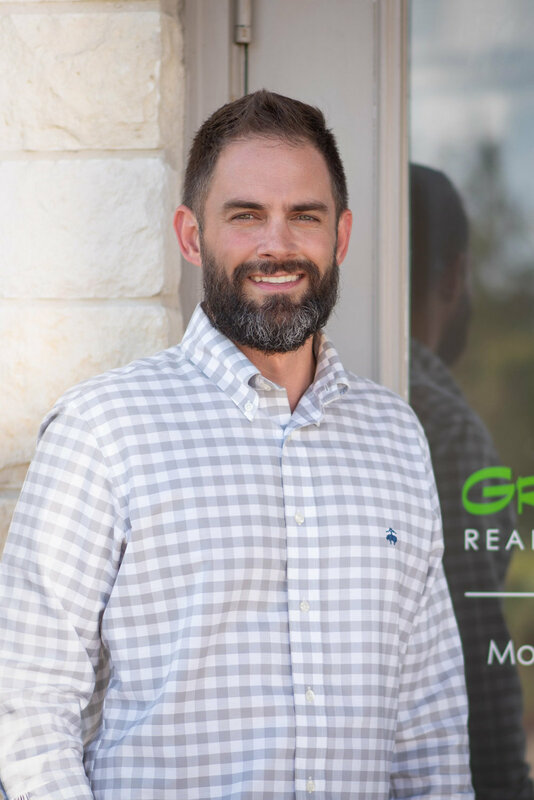 After 4 years in telecom, Geoff pursued the opportunity to move back to Bryan/College Station to become the first real estate sales associate at the highly anticipated Traditions Golf Club and Community. Only two short years following the Traditions' initial home site release, Geoff earned his Texas Real Estate Broker's License and was promoted to Director of Sales at Traditions. During his 6 years in the Traditions Real Estate office, Geoff oversaw the sale of nearly 240 home sites and over 3 dozen homes. After a great run with Traditions, Geoff determined that the timing was optimal to form GreenPrint, so here we are. Geoff and his wife Emily have two beautiful daughters, Molly and Allyson. Emily, a 2000 graduate of Texas A&M University, currently operates a successful home design and renovation business, Revival Living, while also running the Myers household. Molly and Ally attend Brazos Christian School. The family is involved in several activities at Grace Bible Church, and Geoff is past Chairman of the Board for the Brazos Valley Fellowship of Christian Athletes, where he was instrumental in the organization of the annual Ray Dorr Golf Classic. Geoff has also invested in the younger Aggie generations by speaking to the Mays Business School at Texas A&M. In his free time, Geoff attends Aggie Athletics events with his wife and girls, plays an occasional round of golf, and enjoys fitness and running. Most of his marathon training is done on the streets of Bryan, where the family has deepened their roots by purchasing a historical home in the Eastside District. If you see him out and about, please do say hello!